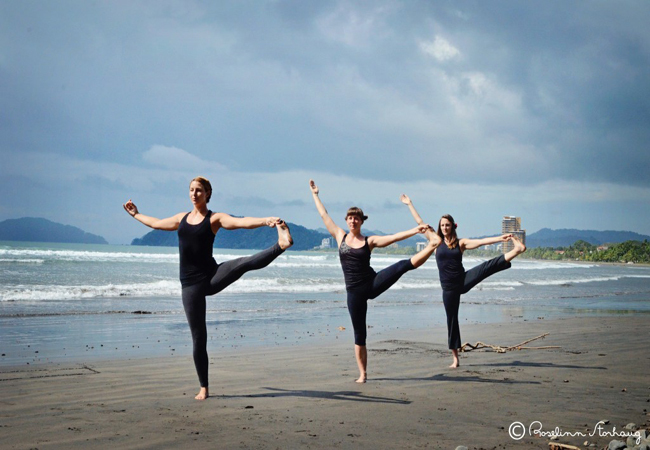 If you want to practice Yoga in a city that has mind blowing seashore with excellent climate, then Jaco,a coastal city, in the county of Garabito in Costa Rica’s Puntarenas province, is one of the best destinations for you. 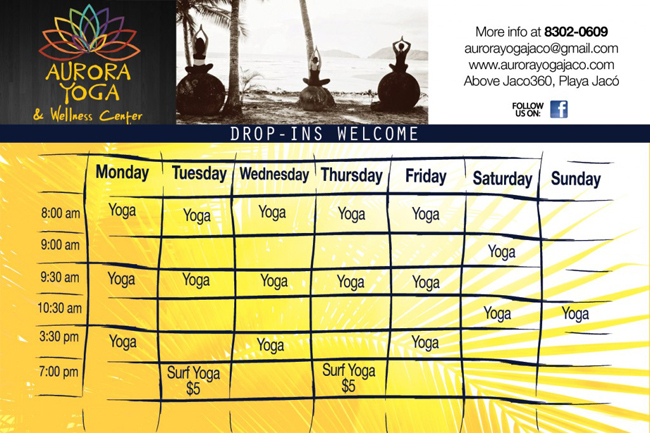 Fortunately there is an excellent Yoga studio named Aurora Yoga in Jaco. As Jacó lies between several mountains, and is neighbored by the beaches of Herradura Bay to the North, and Playa Hermosa to the South, it has the perfect environment for practicing Yoga. 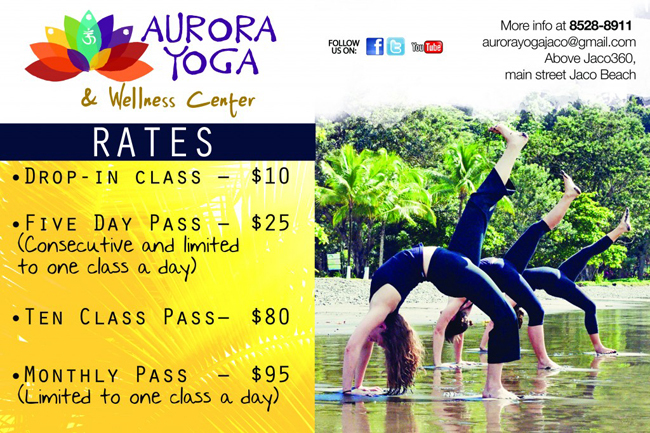 At about 15 miles north of Jacó, lies the Carara National Park, recognized for its exuberant wildlife and dense rain forest.Aurora Yoga Jaco, offering classes daily so that you will always have a place to practice, is an excellent yoga studio that provides all the facilities you need. Spacious practice room, fresh air and beach view make this studio awesome. The lush tropical setting that surrounds is perfect for practicing Yoga. As the ocean is a two-minute walk from the studio, you can easily have a after Yoga swimming in the tropical water! Using a restorative blend of Ayurvedic plant and flower essences, this rejuvenating facial invigorates your senses and revive your skin’s appearance and texture. Kaya Kalpa facial will enhance the glow of you face. It will clean the darkness and the signs of exhaustion. For deeper purification, you can add Vitamin C Peel for an additional cost. The result of this purification is awesome. It refreshes you,rejuvenates you and re-energize you. Want to restore balance to your skin? Want to rejuvenate yourself? Want a heavenly glow on your face? Is so, try their Balancing Renewal Facial. They use different facial remedy oils considering your skin type. This 60 minute facial session will also ensure mind-body alignment while rejuvenating your skin. They use powerful antioxidant Vitamin C to rejuvenate your skin. This extraordinary deep exfoliation treatment is effective for any skin type. This is an excellent treatment to fight signs of premature aging and environmental stress.